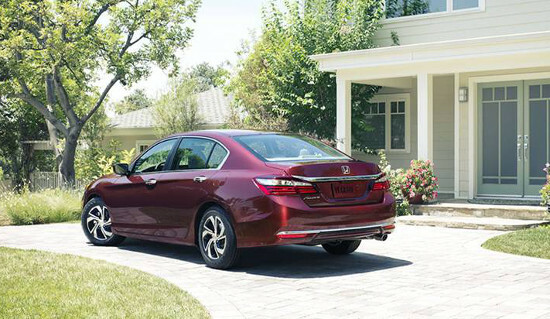 Leather seating, heated seats, and impressive efficiency ratings all help to make the 2016 Honda Accord EX-L one of the most popular Accord models among Goshen and Monroe drivers. If you’re looking for a spacious, feature-rich family sedan, the EX-L might just be the vehicle to fit your needs. 10-Way Power Driver’s Seat with Power Lumbar Support: 10-way adjustment makes it easy to fit the driver’s seat around your own size and shape. You can even use the memory feature to store your settings. Leather-Trimmed Seats: The cabin of the 2016 Accord EX-L is immediately impressive thanks to the rich, supple leather that covers its seating. There’s even a leather-wrapped steering wheel. Heated Front Seats: When the temperature starts to drop across Goshen and Monroe, you’ll be able to stay warm and comfy thanks to the EX-L’s heated front seats. Premium Sound System: With 360 watts of power, 7 speakers, and a state-of-the-art subwoofer, this audio system is able to provide an immersive listening experience during every journey. Auto-Dimming Rearview Mirror: This innovative rearview mirror will automatically adjust its tint to prevent the glare of approaching headlights from hitting your eyes. 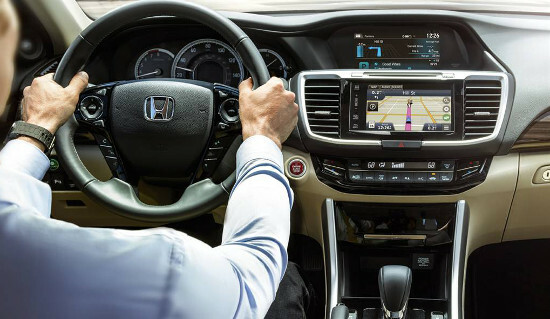 The EX-L is also the lowest Accord trim level to come with the Honda satellite-linked navigation system. You’ll be able to use voice-recognition technology to input a destination, then receive turn-by-turn directions. 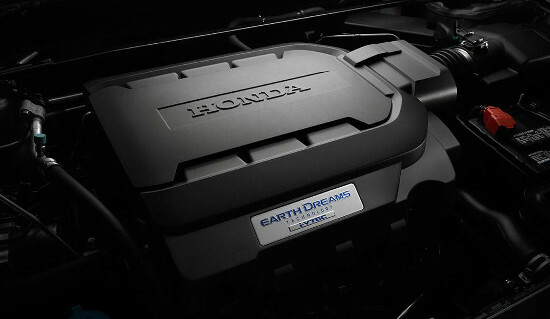 The 2016 Honda Accord EX-L is the final trim level to be fitted with the four-cylinder engine instead of the V6, making it great for Goshen and Monroe drivers who are looking for both impressive efficiency ratings and the type of features you’d expect from a top-of-the-range model. 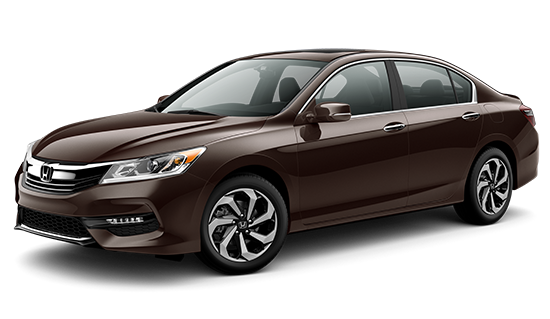 The 2016 Honda Accord EX-L delivers a fantastic drive and an impressive list of standard and available features. If you’d like to find out more, take a closer look, or even arrange a test-drive near Goshen and Monroe, just come to Middletown Honda.